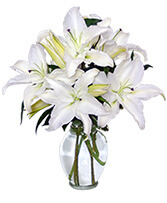 This pure white bouquet of Casa Blanca lilies makes an elegant statement as a perfect floral tribute, centerpiece or decorative arrangement. 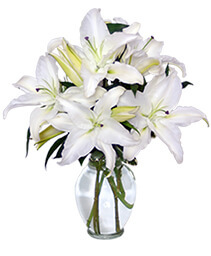 These lovely lilies also leave a soft fragrance in the air. 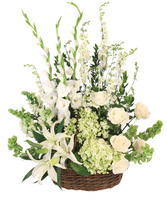 Show loved ones that you care with fresh flowers from Pannell Designs & Events. 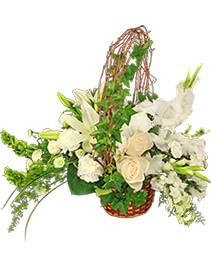 Show kindness and affection with this inspired arrangement from Pannell Designs & Events. 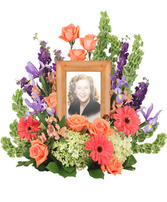 This timeless and touching tribute would make a lovely addition of freshness and color that is sure to be enjoyed and much appreciated. 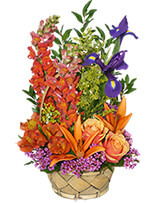 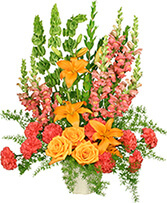 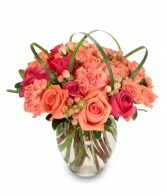 Arrangement includes: hot pink and peach roses, peach carnations and hypericum, accented with looping lily grass for unique visual interest. 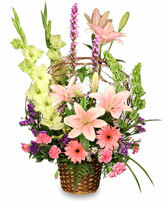 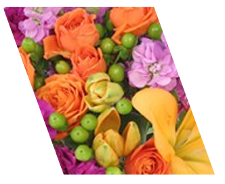 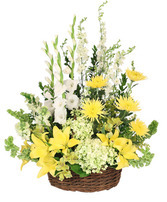 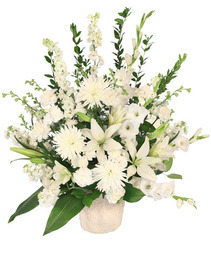 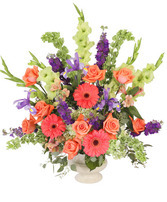 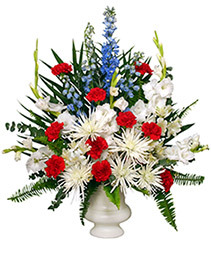 Send best wishes with a beautiful and uplifting floral arrangement from Pannell Designs & Events. 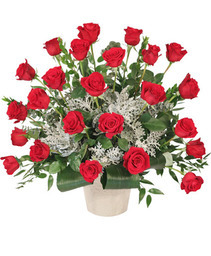 This year, remind them how much they are loved and appreciated. 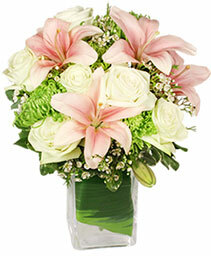 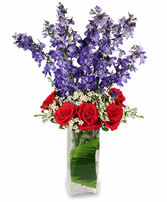 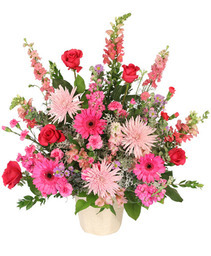 Call our shop or order flowers from our website - anytime, 24/7.